Sisters Bailee Madison & Kaitlin Vilasuso spill the tea with mom, beauty and lifestyle influencer, and fellow female podcaster Sazan Hendrix. Together they talk about secrets to success, the importance of family and faith, and make plans for a girls night. Sazan shares some of her favorite female interviews to date, including an encounter with actress Jennifer Aniston. Bailee played Aniston's daughter in the hit film Just Go For it with Adam Sandler and she reveals what it was really like on set working together. Kaitlin reveals her JBU share about her on going difficulties watching husband Jordi Vilasuso act in steamy love scenes for work. And Sazan reveals some husband JBU shares as well, such as how they first met, the difficulties they faced with getting her parents acceptance, and what it's like owning a business together. 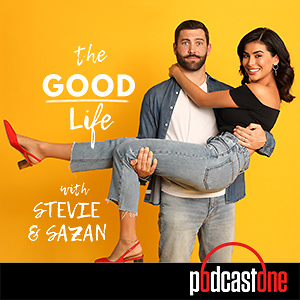 Make sure to catch more of this girl boss on PodcastOne's The Good Life with Stevie and Sazan. Just Between Us is produced in partnership with PodcastOne and The Direct Message, with executive producers Crystal Fambrini & John Ryan, Jr. (Co-Founders of The Direct Message). Sisters Bailee Madison & Kaitlin Vilasuso welcome back social media influencer Alexa Losey on the show to talk all things fun and do a rapid fire switch up. 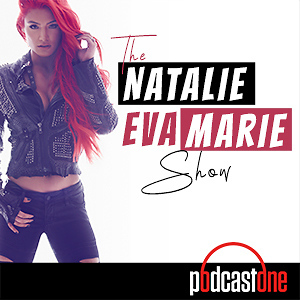 Favorite food, nail polish color, beauty product, spirit animal, random interests... Just Between Us is produced in partnership with PodcastOne and The Direct Message, with executive producers Crystal Fambrini and John Ryan, Jr. (Co-Founders of The Direct Message). Sisters Bailee Madison & Kaitlin Vilasuso bring you in on their sister date where the two create time to catch up on life, spill the tea on boys, and support each other through life's ups and the downs. The hilarious and inspiring duo also answer your questions! Join us for this special show to get an inside look at how our favorite sisters create the space to keep close and feel like you are sitting right there with them. Just Between Us is produced in partnership with PodcastOne and The Direct Message, with executive producers Crystal Fambrini and John Ryan, Jr. (Co-Founders of The Direct Message). This episode of JBU is sponsored by Casper & FabFitFun! Pop artist Alex Aiono joins sisters Bailee Madison and Kaitlin Vilasuso in studio to talk about family, break ups, and his upcoming #fun23 concert tour. This 23 year old rising star shares his best advice for inspiring musicians, talks about being discovered playing on the Santa Monica Promenade, and reveals his JBU secret! Plus there is a lot of hilarious placenta talk circling Alex's sister being pregnant. Alex is a singer, producer, and YouTuber originally from Phoenix, Arizona. This rising star's amassed more than 858 million views and 5.9 million followers on YouTube, 2.4 million Instagram followers, and 2.3 million Facebook followers. Just Between Us is produced in partnership with PodcastOne and The Direct Message, with executive producers Crystal Fambrini and John Ryan, Jr. (Co-Founders of The Direct Message). Sisters Bailee Madison & Kaitlin Vilasuso bond with ABC's Schooled and The Goldberg's actress AJ Michalka. The 27-year-old girl boss talks about touring with her sister in their band Aly & AJ, growing up as an actor, and ofcourse shares a few JBU secrets! Recently AJ is heard as the character of Catra in the upcoming Netflix / Dreamworks animated series "She-Ra and the Princesses of Power." She starred in "The Guardian," "Oliver Beene," the Disney Channel film "Cow Belles" and the original cable movie "Super Sweet Sixteen: The Movie." Michalka currently resides in Los Angeles. Just Between Us is produced in partnership with PodcastOne and The Direct Message, with executive producers Crystal Fambrini and John Ryan, Jr. (Co-Founders of The Direct Message ). This episode of JBU is brought to you by Harper Wilde, Wander Beauty, & FabFitFun! Check out www.FabFitFun.com and use promo code "JBU" at checkoiut so you can save $10 off your first box! Go to HarperWilde.com/JBU to get started today with a FREE at-home try-on and get a FREE bra wash bag! Get 20% off your purchase at WanderBeauty.com/JBU !! Sisters Bailee Madison and Kaitlin Vilasuso bring back on their dear friend Tessa Brooks, a dancer, actor and online personality. Kaitlin puts both Tessa and Bailee under a hilarious and fun JBU rapid fire game where nothing is off limits. The teen besties reveal what they obsess about, share their favorite make up product secrets, and even break out in tune. Plus find out why Bailee still credits actor Billy Crystal for the best life advice she has ever received to date. Just Between Us is produced in partnership with PodcastOne and The Direct Message, with executive producers Crystal Fambrini and John Ryan, Jr. (Co-Founders of The Direct Message). Sisters Bailee Madison & Kaitlin Vilasuso welcome Alexa Losey over to Bailee's house where she opens up about her personal struggles and journey from uber successful fashion & beauty expert to influential mental health advocate.  Alexa shares what lead up to her admittance to an "adolescent mental rehabilitation center" at the age of 16 and what she learned from it. She talks about the time when she didn't love herself and shares her secrets for cultivating self love. As as actress you can see her in "Inspiration Nation" and "IT List." As a YouTuber you can check out her very popular channel, smokeypinkleopard, which is on more than 44,000,000 views. 24 year old Alexa is born and raised in Los Angeles, California. Just Between Us is produced in partnership with PodcastOne and The Direct Message, with executive producers Crystal Fambrini and John Ryan, Jr. (Co-Founders of The Direct Message). This week's episode is brought to you by JustFab & FabFitFun! 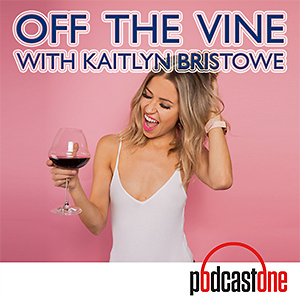 Sisters Bailee Madison & Kaitlin Vilasuso have actress Sierra Capri over to Bailee's house to talk set life vs college life, learn how she booked a lead acting role via self submission on the internet, and find out if this former Biology major will be heading back to University. Sierra is the star of Netflix's smash hit, coming of age series, "On My Block." The show debuted season one in 2018 and quickly became Netflix's most binged show of the year, launching its four young unknown leads to superstardom internationally. Sierra is a stand out as Monse Finnie, the beyond honest, devoted friend, and hothead of the group. She is currently based in Atlanta, Georgia. Just Between Us is produced in partnership with PodcastOne and The Direct Message, with executive producers Crystal Fambrini and John Ryan, Jr. (Co-Founders of The Direct Message). This episode of JBU is brought to you by FabFitFun! Don't forget to use promo code "JBU" at checkout for $10 off your first box! Sisters Bailee Madison and Kaitlin Vilasuso have girl talk with 16-year-old actress Jenna Ortega where she spills the tea on the greatest thing about internet hate. She shares how social media got her discovered and opens up about her struggle with finding happiness. She reveals what she wants to do next and it's not in front of the camera. Plus Bailee shares her professional advice on how to best get your voice heard as a young female in Hollywood. Bailee and Kaitlin also ask Jenna a series of rapid fire questions and do a fan Q and A. Jenna is cast in a key role on the second season of Netflix's hit show You. She is best known for her role as Harley in the Disney series, Stuck In The Middle. She's also known for playing young Jane on the CW's Jane The Virgin. Jenna's film credits include Iron Man 3 and Saving Flora. Just Between Us is produced in partnership with PodcastOne and The Direct Message, with executive producers Crystal Fambrini and John Ryan, Jr. (Co-Founders of The Direct Message). Sisters Bailee Madison and Kaitlin Vilasuso welcome superstar and dear friend Meghan Trainor. 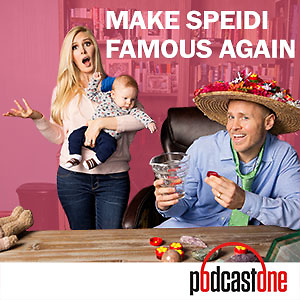 Meghan brings her husband Daryl Sabara on this episode for their first podcast show together. They play a hilarious newlywed game where the couple admits a few juicy relationship secrets. 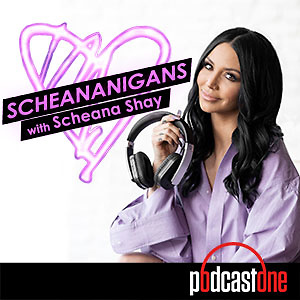 Plus Meghan gives the girls the scoop on the inspiration behind her new EP, The Love Train, she reveals the amazing synchronicity around how she wrote the lyrics to "Marry Me" and spills the tea on a special surprise appearance. Meghan opens up about why she took time off from her music career, talks about the difficulties of vocal surgery and combating panic attacks. They reveal their personal actions on how to reduce stress and anxiety in their lives. Meghan is a Grammy-winning pop singer known for such smash hits as "Lips Are Moving" and "All About That Bass." Just Between Us is produced in partnership with PodcastOne and The Direct Message, with executive producers Crystal Fambrini and John Ryan, Jr. (Co-Founders of The Direct Message). Bailee Madison introduces you to a teaser clip with Meghan Trainor and husband Daryl Sabara where we ge t a first look into Meghan's EP, The Love Train. The adorable couple gives insight into the inspiration behind their favorite track, "Marry Me." Also, this is the first podcast interview for Daryl and the first one together for these newlyweds! 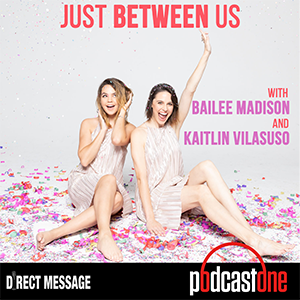 We are so excited for you to hear the entire conversation and for Kaitlin Vilasuso to reveal our Just Between Us secret with Meghan on our full episode. Just Between Us is produced in partnership with PodcastOne and The Direct Message, with executive producers Crystal Fambrini and John Ryan, Jr. (Co-Founders of The Direct Message).